1. Min spend of RM7 is required to be entitled for the RM7 Bonus Cashback. 2. Users must click on the Lucky Hour image above before making a purchase to be eligible for RM7 Bonus Cashback. 3. Promotion starts at 2:00PM on 27 March 2019, limited to 300 redemptions only, on a first-come, first-served basis. Once the bonus cashback is fully redeemed, the image above will show “FULLY REDEEMED”. 4. Each user is entitled for 1-time Bonus Cashback. 5. 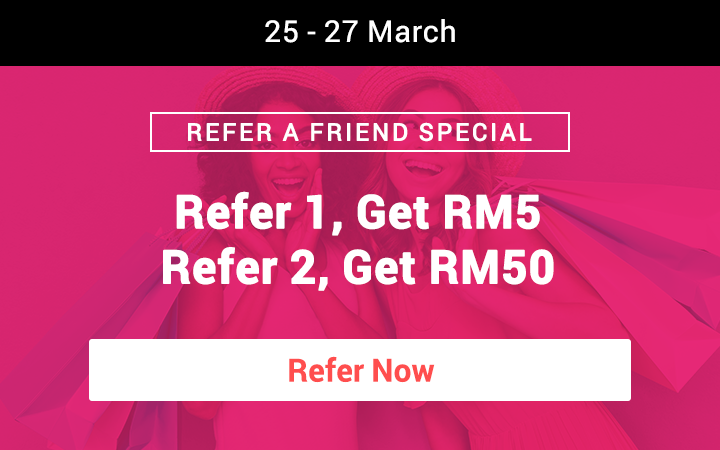 RM7 Bonus Cashback will be credited by 30 April 2019. 6. Orders that are 1) not made via ShopBack, or 2) suspected to have fraudulent intent (eg. 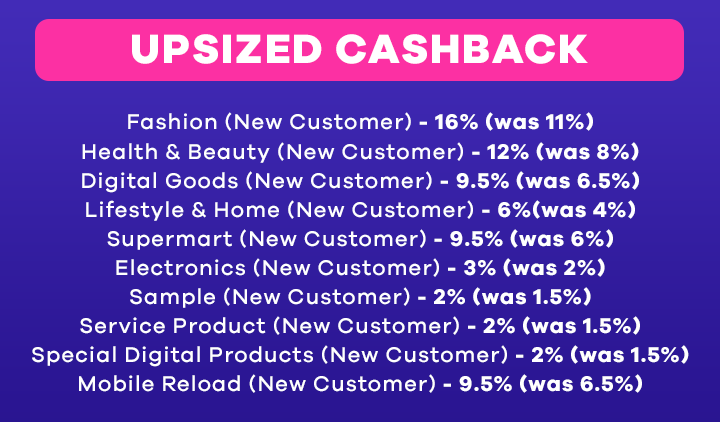 creating multiple ShopBack accounts), will not qualify for the Bonus Cashback. 7. Any order returns, refunds, cancellations and failed payments will be disqualified from this promotion. 8. ShopBack reserves the right to modify, amend or discontinue any part(s) of this promotion without prior notice. (ShopBack App Only) Hotlink via Lazada: Instantly Reload Now! (ShopBack App Only) Xpax via Lazada: Instantly Reload Now! (ShopBack App Only) Digi via Lazada: Instantly Reload Now! (ShopBack App Only) U Mobile via Lazada: Instantly Reload Now! (ShopBack App Only) Tune Talk via Lazada: Instantly Reload Now!